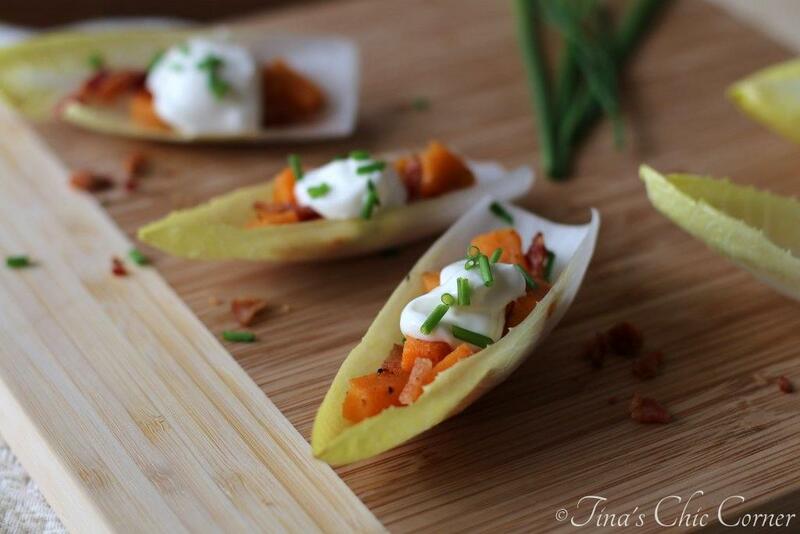 Have you noticed that recipe trends change when the seasons change? I find it slightly entertaining that soups and autumnal desserts seem to be a thing of the past now, as if they’ve stopped being delicious. Don’t worry soup lovers, the fad will return come September. Maybe I’ll rebel and make something that no one would expect to see this time of the year, like some yummy Pumpkin Pie. (That’s one of my husband’s favorites, so I know he would not object to that.) I will admit that I’m sort of tired of eating soup and I’m anxious to eat some summer veggies and fruit. I guess for now that means I’m going to go with the flow and make another tasty salad recipe this week. 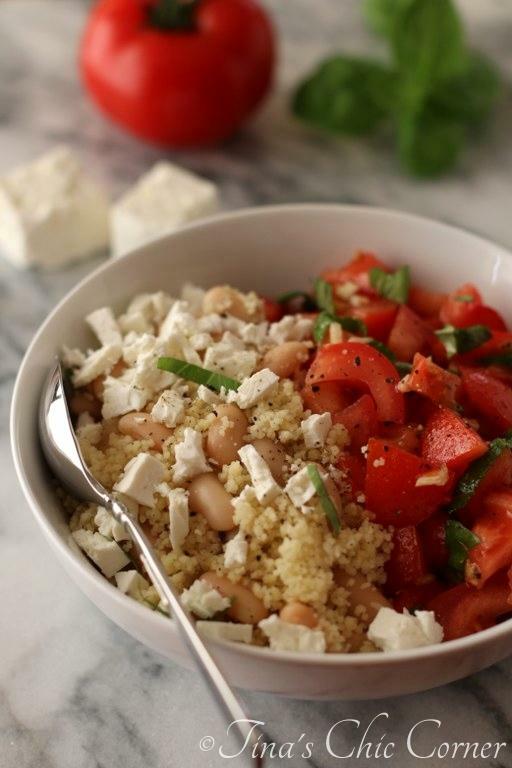 This bean and couscous salad has a Mediterranean flair to it and it pairs perfectly with a fresh tomato salad. In a large saucepan, bring the water to a boil. Stir in the couscous, olive oil, salt, and pepper. Move it off the burner, cover the pot, and let it sit for about 5 minutes. Stir in the beans and crumbled feta cheese. 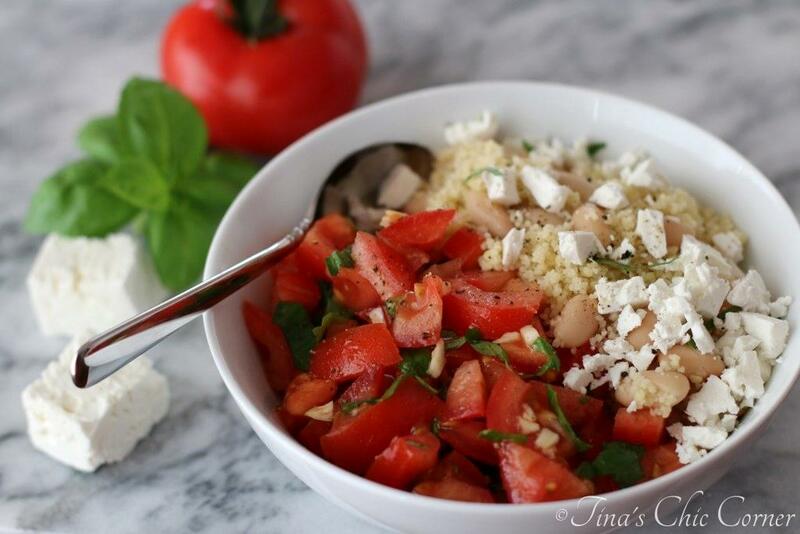 In a large bowl, combine the chopped tomatoes, olive oil, minced garlic, chopped basil, salt, and pepper. 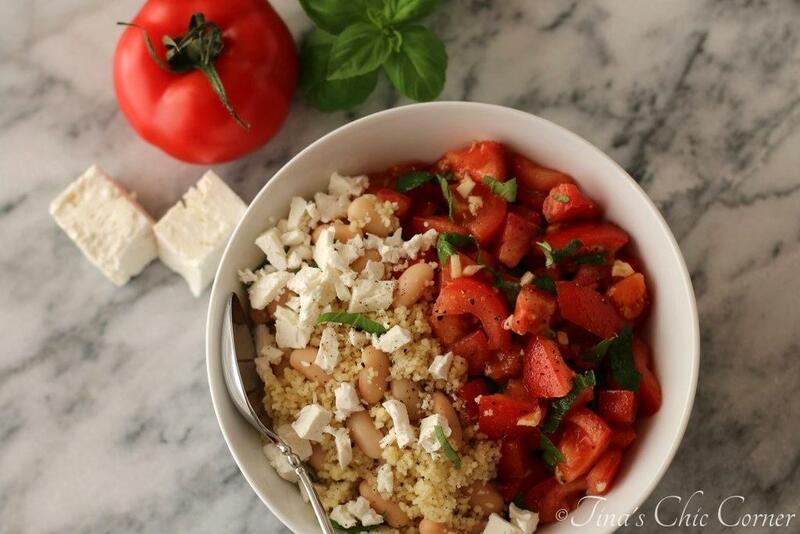 On one side you have couscous mixed with white beans and feta cheese and on the other side you have tomatoes mixed with garlic and basil. They are both lightly coated in seasoned oil. I enjoyed mixing all of the ingredients into one impressive salad, but you can certainly enjoy each salad on its own and it will taste just as great. Yay for a new variety of salad at lunch time! I keep calling this a salad, but you’ll notice that there are no leafy greens in it. What else would I call it, if not a salad? It’s a salad in kind of the same way potato salad is a salad, or perhaps pasta salad, or maybe 3-bean salad, get it? Aren’t the vibrant colors wonderful? This would also make a great side dish at a BBQ. I know, it’s still cold out (at least here in CT), but some of us are already planning our BBQ menus. Here are some other great salads. This salad looks perfect for spring! I plant a ton of tomato plants, and am constantly looking for ways to use up all my tomatoes. Pinning! I just picked up goat’s feta for the first time and WOW it is amazing. Have you ever tried it? The pumpkin thing cracks me up, honestly. It’s like, we know this stuff is canned and we can have it whenever, right everyone? Also, I’ve totally been guilty of the “foodie” sin of buying fresh tomatoes in winter. I can’t help it. Sometimes I can’t wait for August. This really is a perfect lunch dish! 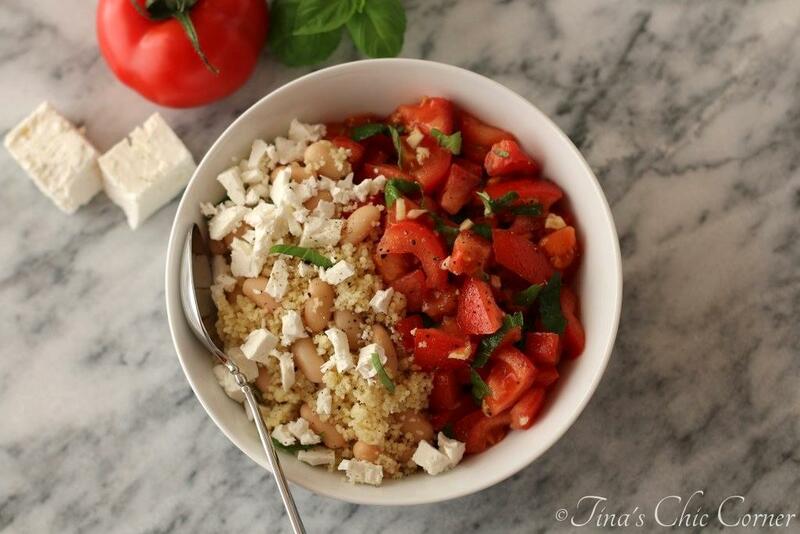 I love everything in here – especially the feta : ) Tomatoes are just starting to look decent again by us too – perfect timing! I had to jump at the chance to make this as soon as I saw tomatoes looking good again! I agree that feta makes almost everything taste better, Tina!! Also, I must be a rebel at heart because I think I’ve made more soups in the last few weeks than I have all winter! Fantastic healthy-sounding (and looking!) salad! I’ve still been craving soup because it is COLD here. But salad with all these fresh delicious ingredients also sounds good!! My mood changes on a daily basis…soup or salad. Maybe it’s because the weather has been crazy here. One day it’s 28 degress and the next it’s 57 degrees! 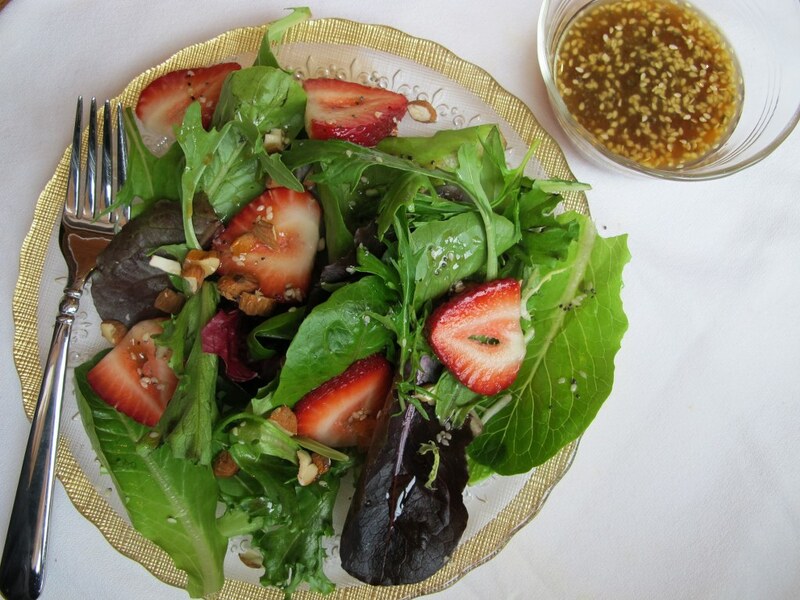 This looks like my kind of salad…especially now that Spring is here! (At least that’s what the calendar says.) Love, love, love the feta!! Hehe, I think mother nature missed the memo on the offical calendar date of Spring! Seriously, isn’t feta cheese awesome!? your salad looks so fresh healthy! I love seasonal eating, because then I never get sick of anything! But I would not object to a slice of pumpkin pie any time of year!! This salad looks delicious, and is totally something that I would make for a quick and easy dinner. Pinning! Sounds like a great light spring dinner! Haha, pumpkin pie in spring?! You rebel! This looks super delicious. I love feta and tomatoes together. I think this is quite hearty as well and could fill up my hungry teenagers. Tina, I need this dish for dinner! My husband wouldn’t touch it because he has a (weird) aversion to tomatoes, so we could be dinner buddies! Dinner buddies…love that and absolutely! My husband is the same with quinoa, but I love the stuff. I love this kind of salads because they’re more original than the usual lettuce-only kind. The addition of feta is great – I adore the stuff! You’re a great friend for making her favorite pie. 🙂 Thank so much for the lovely compliments and for pinning! I do eat seasonally, but I also have my year round favorites that I refuse to give up. I just bought some dried white beans and am so excited to give them a try! I’m the same as you! 🙂 I hope you enjoy the salad as much as I do. We were just in Portland for the past few days and we ate so much it’s a miracle my pants still fit! 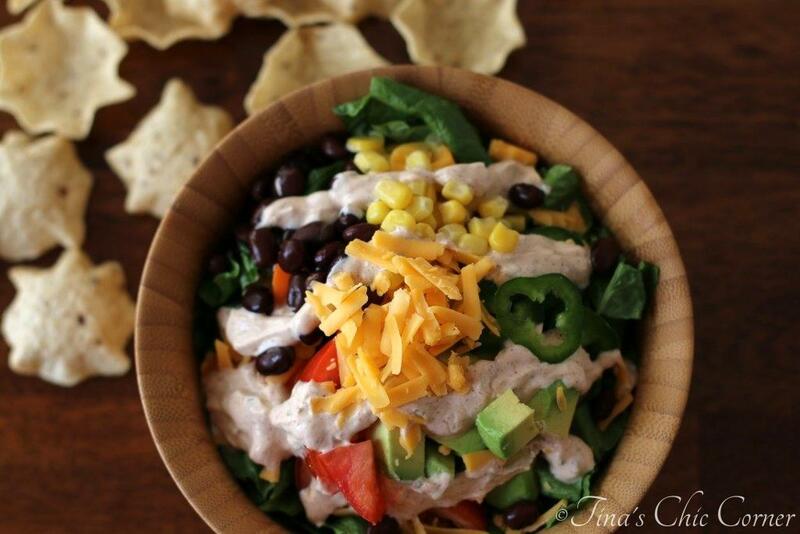 This looks like a great healthy and light meal to enjoy after a few days of heavy eating! I will be trying this! Hehe…you are too funny! I hope you like this salad as much as I do. I actually made it again the other night. I love that it’s super quick to whip up.